Hey Japanese, the Surface tablet is now heading to your country on next month, March 2013. According to sources from Japan, Microsoft ready to launch its Surface tablet to the Japanese market later on next month. It is interesting to see how Surface tablet competes with other Windows powered tablets in the local market. The pricing of Surface tablet could be higher than the local products. But would you mind to purchase the tablet from the Windows maker? Any taker here for the Surface tablet in Japan? (GSM Insider) - Both 64GB and 128GB Surface Pro Tablets Are Back In Stock Again. If you missed the first batch of Surface Pro, then this is another chance for you to purchase it. Surface Pro is now on sale again at the Microsoft Store. Yes. Both 64GB and 128GB models. The 64GB Surface Pro on sale with the same price of $899 and the shipping time is around one week. While the 128GB Surface Pro on sale again with the same price of $999. But the shipping time of the 128GB model is slightly longer. It will ship after 1st of March 2013. It takes about 2 - 3 weeks to ship. 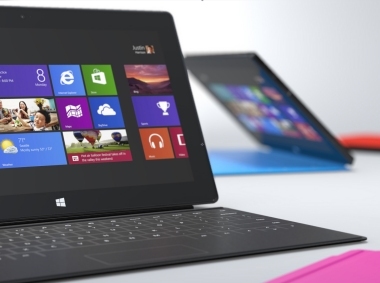 If you are getting one of those Surface Pro, grab it here before sold out again. 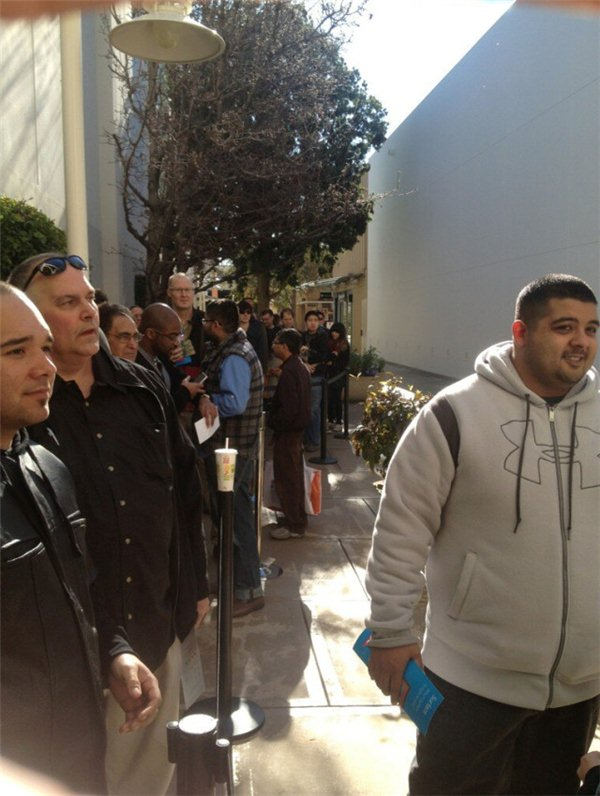 (GSM Insider) - Many People Queued Outside Microsoft Store To Purchase Surface Pro. 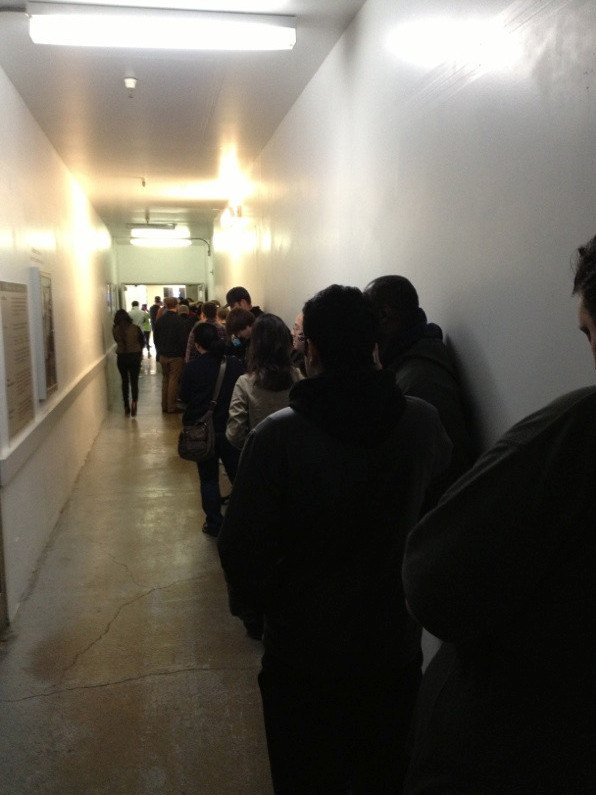 It has been awhile since people queueing up to purchase the Microsoft products. Finally, Microsoft able to bring something popular back again. Its the Surface Pro tablet. 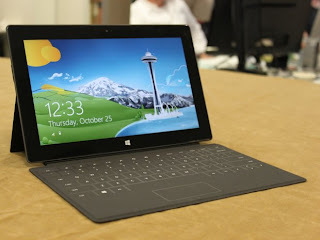 Many people doubted whether the Surface tablets are relevant for Microsoft. There were people even doubted whether Microsoft should introduce the Surface Pro and Surface RT. Seems like it was a good idea to introduce the Surface Pro. GSM Insider reported that the Surface Pro 128GB was sold out after 6 hours on sale and the 64GB version sold out later as well. Seems like the Surface Pro is popular too. The most important thing is many people queued up at the Microsoft Store to get the Windows 8 tablet. You can hardly see many people queueing for gadget except the iPhone and iPad. The Surface Pro and Surface RT are important for the Microsoft. The Surface is Microsoft's own brand and it could determine the future of Microsoft on hardware product. 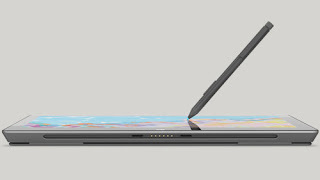 The success of Surface Pro could encourage Microsoft to introduce own brand Surface phone. 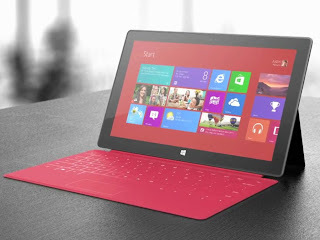 (GSM Insider) - Microsoft Surface Pro 128GB Version Sold Out After 7 Hours On Sale. 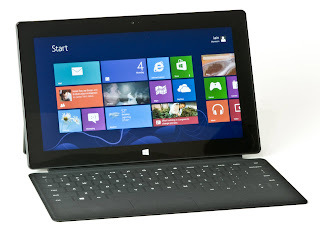 You might not interested in the Surface Pro after you read some negative reviews on this Windows 8 tablet. But Microsoft doesn't care about your opinion as the sales are more important. After on sale for about 7 hours at the Microsoft Store, the Surface Pro tablet 128GB version was sold out by now when this article being written. Seems like the Surface Pro is far better than the Surface RT before. The Surface Pro 128GB is sold with the price of $999 while the Surface Pro 64GB is sold with the price of $899. Perhaps the main reason why the 128GB model sold out because you can get an extra 64GB with just $100. 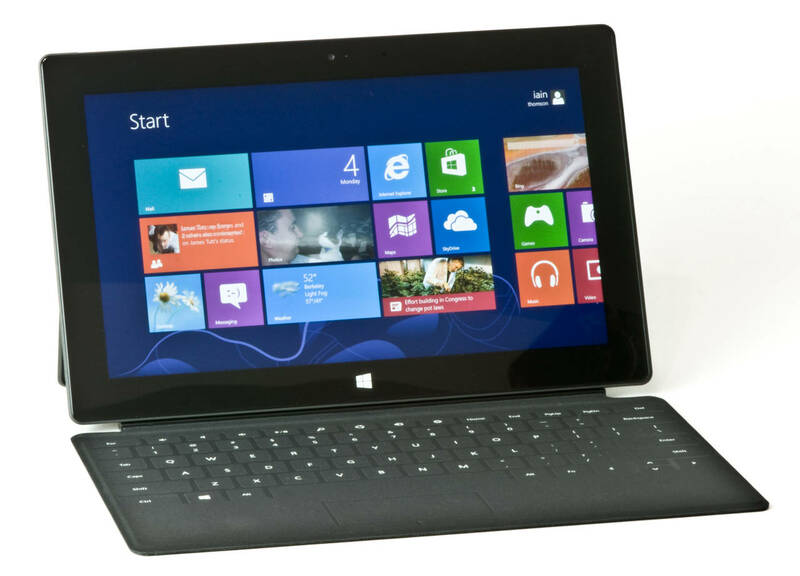 Purchase Surface Pro now at here. 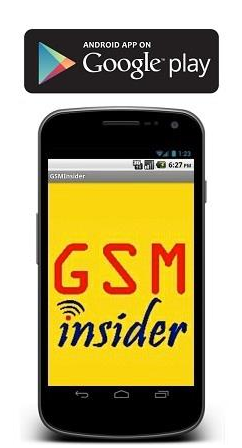 (GSM Insider) - LOL! 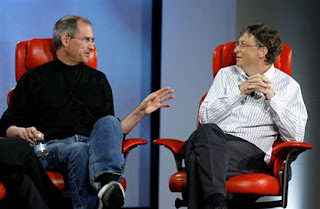 Bill Gates Says Steve Jobs Was Always Cooler Than Him. 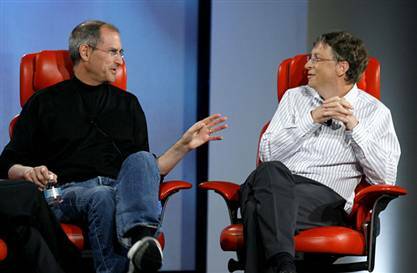 Both Bill Gates and the late Steve Jobs are among the most influential person in the 21st century. The innovation from these two people successfully changed the world forever. The products that created by Microsoft and Apple brought human life to an advanced level like never. But who is better? In the latest interview, Microsoft founder Bill Gates admits that Steve Jobs has been always cooler than him. "Cooler" not simply means "better". Perhaps the Microsoft founder means that the outlook of the late Steve Jobs with shirt and jeans was always cooler than him. LOL! The late Steve Jobs or Bill Gates? Your pick please. 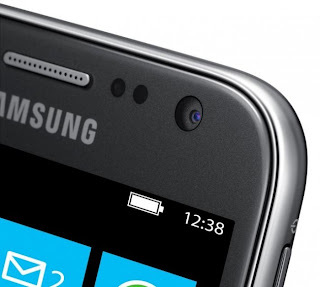 (GSM Insider) - Microsoft And Samsung To Join Hands For Windows Phone For Businesses. 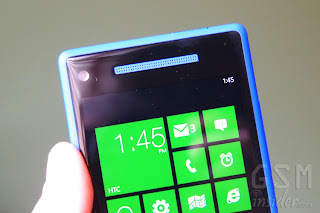 Microsoft has teamed up with Samsung, Huawei, HTC and Nokia for its Windows Phone 8 devices. Soon, Samsung will have more duties on Windows Phone devices. “Business is very important to us – [Windows Phone 8] sits really well with SMBs. There are a lot of BlackBerry customers that are looking at other options, the full integration with Windows 8 makes sense and is cost effective for them. Everyone will be affected by BB10, it’s just a question of what that effect will be. It’s a big market though and there should be enough room for both of us. From our perspective, we will be trying to stay neutral with the manufacturers. We will be doing joint stuff with Samsung, as we do with HTC and Nokia, as soon as they are ready.” Rikke Rasmussen, head of B2B marketing for Windows Phone said. Microsoft certainly hopes that the integration between Windows 8 and Windows Phone 8 able to bring some better devices for the businessmen. It will depend on Samsung whether it is able to live up its reputation on Windows Phone. (GSM Insider) - Microsoft And Qualcomm Join Hands On Development Of Windows Phone 8 Reference Design For Cheaper Handsets. If you want a cheaper Windows Phone 8 device, then you should wait a little bit longer. Microsoft has the plans for releasing cheaper Windows Phone 8 devices. Rather than just tapping on the high-end market, Microsoft sets its sight on the low budget as well. According to Digitimes, Microsoft and Qualcomm join hands in the development of low budget Windows Phone 8 handsets. Both companies will work on the reference design and the device will be built by Chinese manufacturers. Microsoft hopes that offering low budget handsets in the future able to expand the ecosystem and capture more market share in the smartphone market. 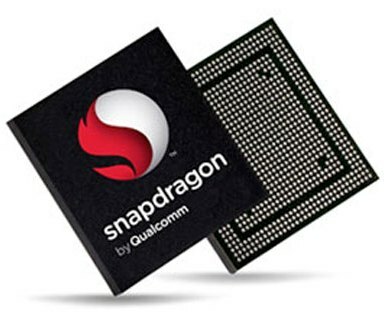 Qualcomm has been working with Microsoft since Windows Phone 7.5 previously. (GSM Insider) - Windows Store Passed 40,000 Apps Mark. 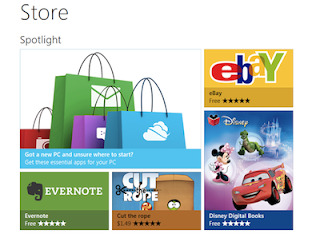 Previously, Microsoft predicted that the Windows Store will have about 100,000 apps on February and about 400 new apps added to the store everyday. The reality is the apps will not reach what Microsoft predicted. 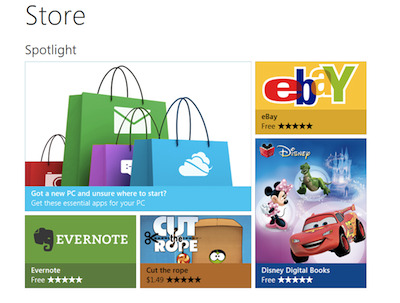 According to MetroScore Scanner, Windows Store has about 40,000 apps to-date. The apps number is definitely short of 60,000 from the 100,000 mark from Microsoft. MetroScore Scanner added that there are about 158 apps added to Windows Store average per day. The 40,000 apps mark is not reaching the target from Microsoft anytime soon since there are less than five days for the arrival of February. But the growth of the apps is consistent. Developers might step up for development of more apps. (GSM Insider) - Microsoft Says Steve Ballmer's Investment On Sacramento Kings Not Related To The Company. Recently, Microsoft CEO and Chris Hansen formed a group of financial group that invested in the NBA team Sacramento Kings. But there are doubts about the deal between Steve Ballmer and Sacremento Kings. In order to keep all the doubts away, Microsoft releases a statement and mentioned that the investments from the CEO doesn't relate to the company. 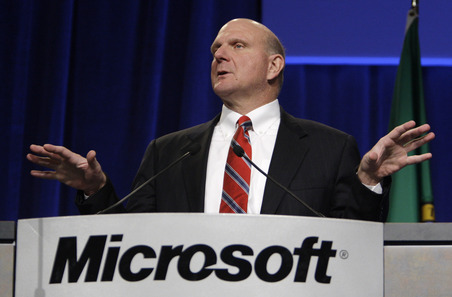 Steve Ballmer's investment is a private activity with fellow investor Chris Hansen. 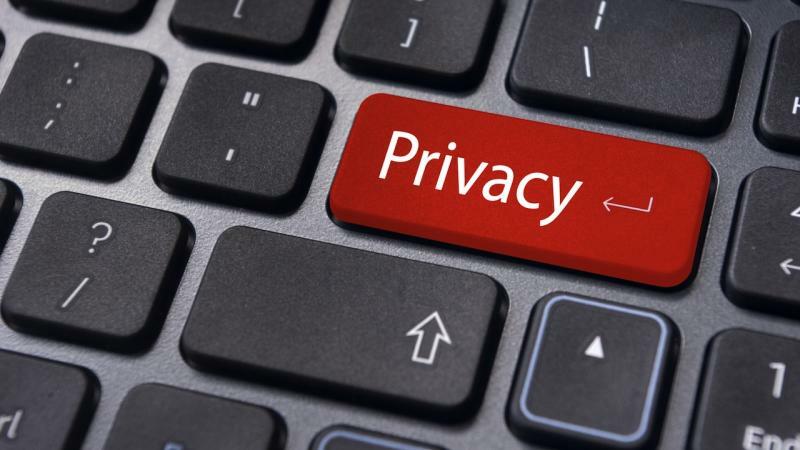 Should a company interfere the activities of its employees? 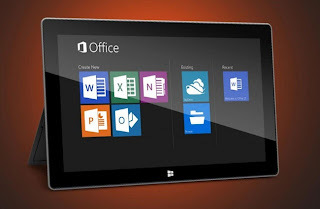 (GSM Insider) - Microsoft Office 2013 On Sale From Today, Its Available In Four Different Editions. Source from Australia and Hong Kong reported that the Microsoft Office 2013 is on sale starts from today, January 29, 2013. The wait is over, finally! Microsoft Office 2013 is available in four different editions include Office 365 Home Premium, Office Home and Student 2013, Office Home and Business 2013 and Office Professional 2013. The Office 365 Home Premium 365 is suitable for the usage at home, Office Home and Student 2013 is suitable for student usage at home or at colleges, Office Home and Business 2013 is suitable for small business users while Office Professional 2013 is the complete version of Microsoft Office 2013. Besides Microsoft Office 2013, there are other softwares as on sale as well. Those individual softwares included Office Language Pack 2013, Excel 2013, Project Professional 2013, Project Standard 2013, Publisher 2013, Visio Professional 2013, Microsoft Word 2013, Microsoft Access 2013, Microsoft Powerpoint 2013, Microsoft OneNote 2013 and Microsoft Outlook 2013. (GSM Insider) - Surface Pro Facing Internal Memory Issue As 64GB Model Only Left 19GB For Usage. When Surface RT was launched at last year, some users found out that the Surface RT with 32GB only left 20GB for usage. In other words, the Windows RT itself and other preloaded apps consumed 12GB of internal memory. After the Surface Pro was launched last year, the same question was pop-up again. The Surface Pro consumes more or consumes less internal memory than the Surface RT? The answer is it consumes more than the Surface RT. The main reason is Windows 8 Pro requires more internal memory than the Windows RT. The Windows RT considers as the "lite" version while the Windows 8 Pro considers as the full version. This is the main reason behind the high consumption of internal memory. Operating system Windows 8 Pro and the preloaded apps consume about 45GB internal memory of Surface Pro that it is left only 83GB for usage. This shows that the Windows 8 Pro is consuming more internal memory than the Windows RT. But how many users know about this before making any purchases? (GSM Insider) - Bill Gates: Windows 8 Is The Foundation Of Microsoft's Future Operating Systems. There are so many people the unimpressed by the Windows 8 operating system. But one person for more sure than supporting the Windows 8. He is Bill Gates, the founder of Microsoft. In a recent interview, Bill Gates gave his views on the Windows 8. He stated that the Windows 8 is the beginning of the new era and the apps are increasing everyday. 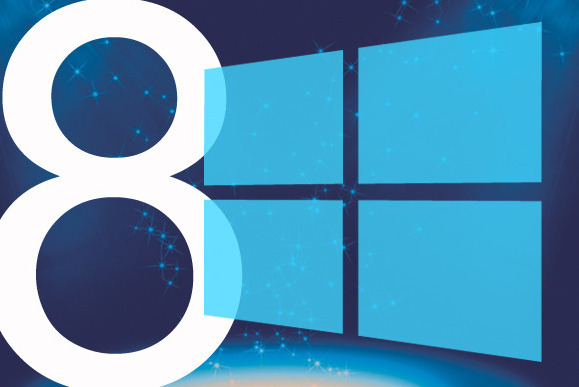 When asking whether he is satisfied with the 60 million sales of Windows 8, he stated that Windows 8 supports touchscreen and the increases in apps are a good beginning for the Windows 8. 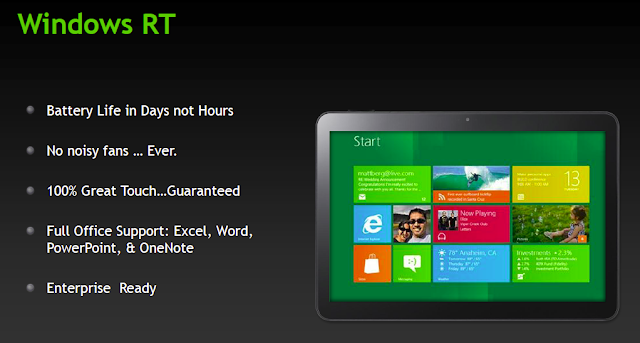 Previously, Microsoft stated that the sales of Windows 8 are impressive but it still can improve. So we can expect more from Microsoft on Windows 8 in this year. (GSM Insider) - Microsoft Rakes In $21.5 Billion Revenue For Q4 2012, Windows Revenue Increased 24% Year-on-Year. Since the launched of Windows 8 and Windows RT, these two operating systems received positive and negatives comments. 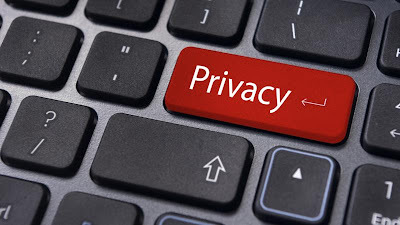 There were analysts stated that Windows RT isn't relevant for users and some people not even known what is Windows RT. As for the Windows 8, there were users stated that it isn't as user-friend as the Windows 7 and Windows Vista. With such criticism on Windows 8 and Windows RT, how about the financial of Microsoft? Microsoft announced on Tuesday that it recorded $21.46 billion for the quarter ending on December 31, 2013 as it increased from $20.89 billion in the same quarter for year 2011. The good news is the Windows division enjoying the revenues as well. The revenues have increase 24% to $5.88 billion in total. Although there were criticisms on the Windows 8 and Windows RT, Microsoft successfully recorded the high revenues as the Windows division still an important asset for the company that is based in Redmond.